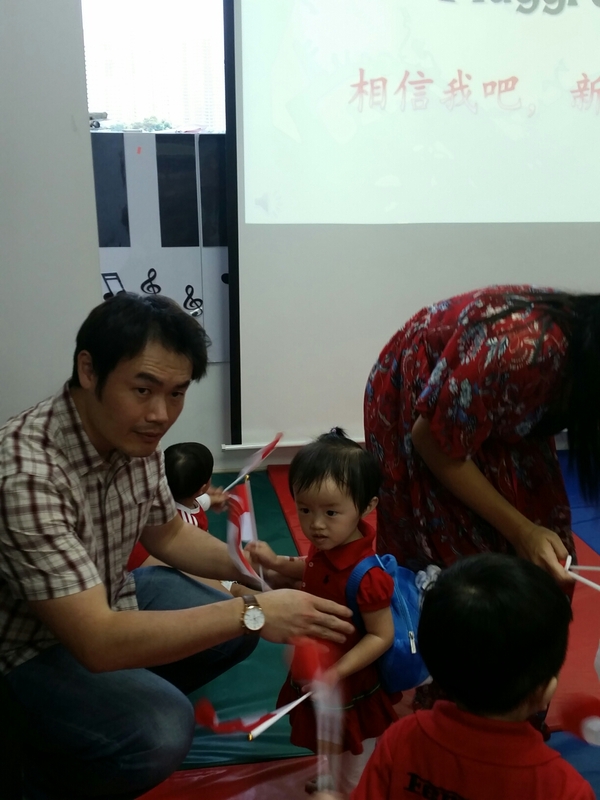 On Monday, just before the school’s National Day celebration started, Little Foot’s teacher asked me whether she has interaction with other children at home. I said yes and we had a chat about why this question popped up. Turned out that our Little Foot doesn’t really mix around with the other toddlers in class. Notwithstanding that she spends most of the morning part crying, whenever she has calmed down, she would stay on the sidelines and observe the others, refusing to participate. I described her usual playtime routines with the kids in the neighbourhood to the teacher, so we both felt, that perhaps she’s still adjusting to the environment, let’s give her a little bit of time. 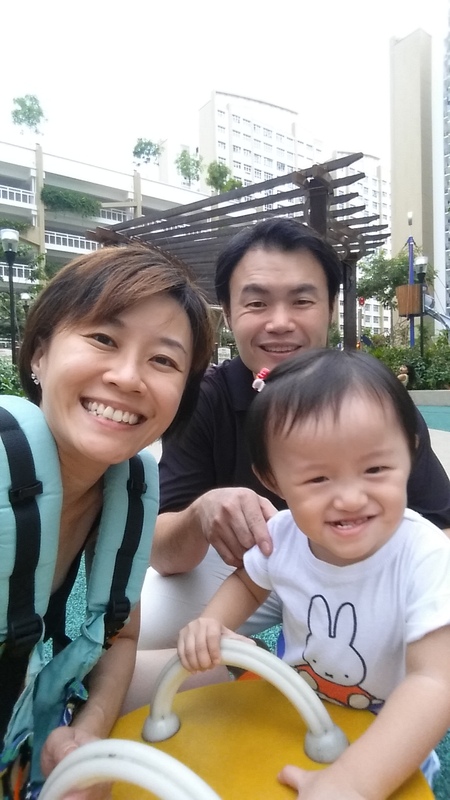 That morning, she did however put up a semblance of participation in the Playgroup performance item, waving a flag and marching, albeit while insisting on being in physical contact with Papa. Papa Long and I chatted about it in the car on the way home one evening. Should we be concerned? It’s normal right? Eventually we brushed it off and reminded ourselves that Little Foot has always been an observer, even at a very young age. AND Papa is also by nature the same way – not a social butterfly, preferring to be a wallflower. 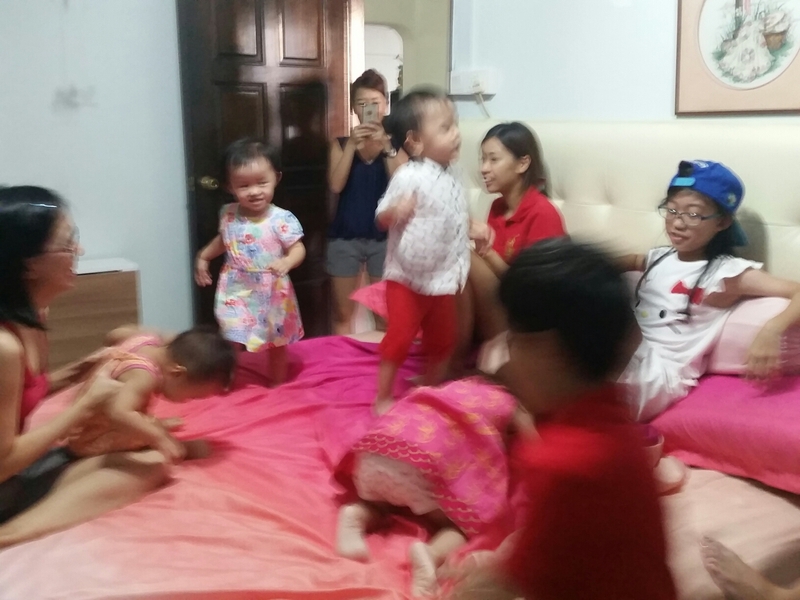 Over the public holiday, I continued to observe how she interacted with the cousins. She’d play, walking around with Baby K, passing toys, grabbing toys…randomly approaching the older cousins, but when all the kids started jumping on the bed, racing around, Little Foot would recede to the sidelines again. I get the sense that she’s watching, observing, probably many things are probably running though her head, but she’s not in there jumping. Brought to mind the Chinese idiom “按宾不动 ” — observe first, don’t deploy the soldiers yet until you get your strategy out. Then this morning, I saw photos posted by our helper, Little Foot playing with older kids at the playground yesterday afternoon. It made me so happy to see her playing with other kids. Felt like I needed to knock my own head for getting overly worried over a harmless remark by the teacher.That’s a first-time parent for you alright! And so, on a happier note, it’s Friday! Don’t sweat the small stuff! 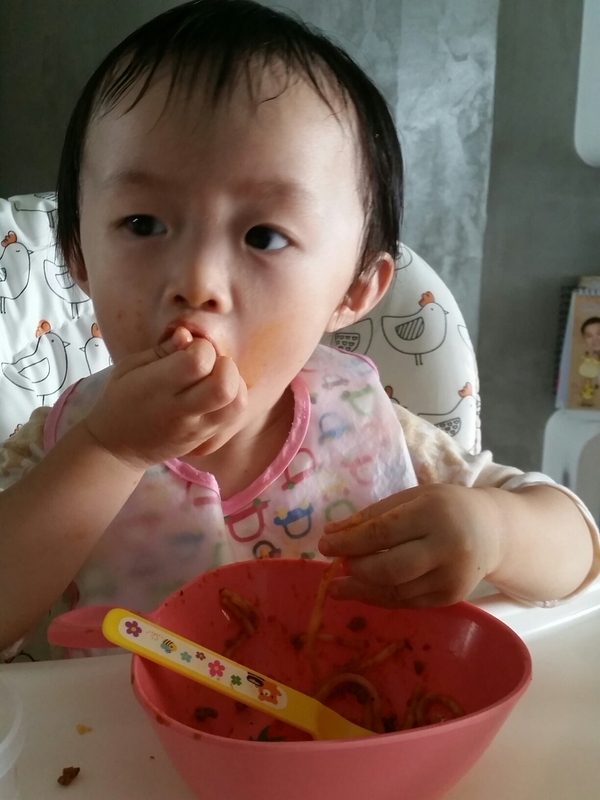 Usually Sundays, she would manage to make me throw away her home cooked lunch and get to snack on the adults’ meals, but today she had a wildly fun time getting pasta sauce all over her face! Everything tastes better when you dip in your ten little fingers! 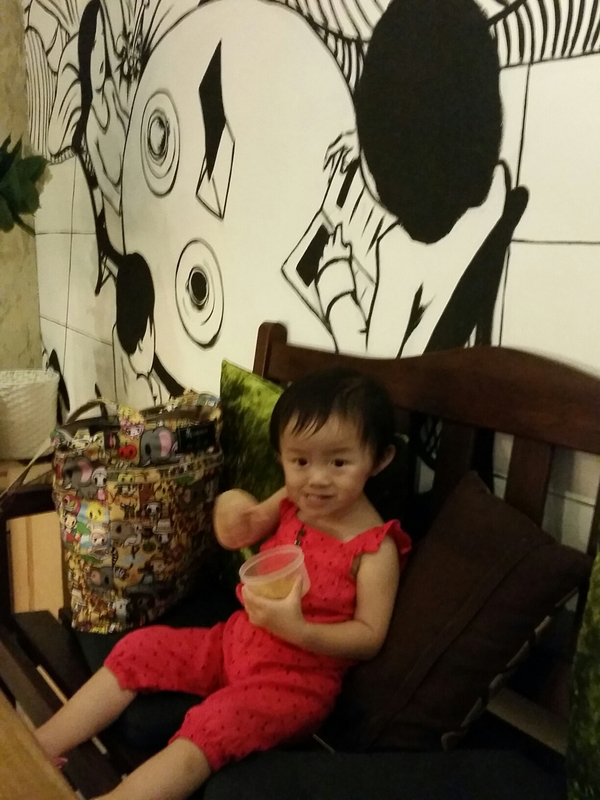 And the happy mood continued to our cafe lunch session at Valley Point… she was super happy to go see the dogs waiting to be groomed at Pet Lovers’ Centre in the building. 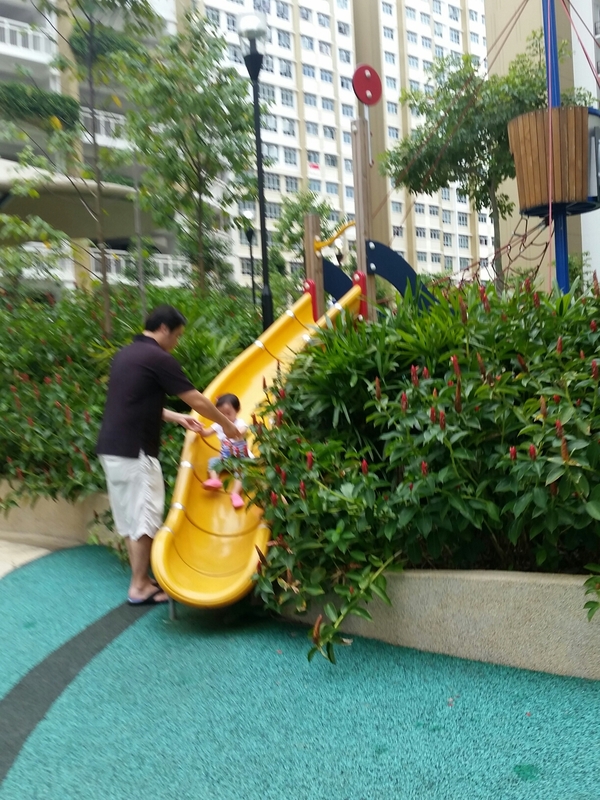 More happy moments at a playground in Bukit Panjang. Today we visited two playgrounds in the zone! 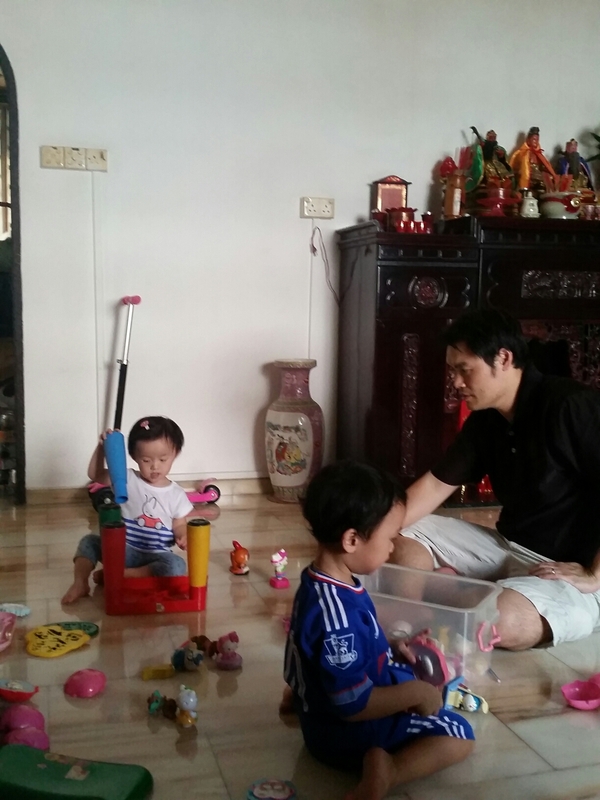 And finally, playing with toys at her grandparents’ place. 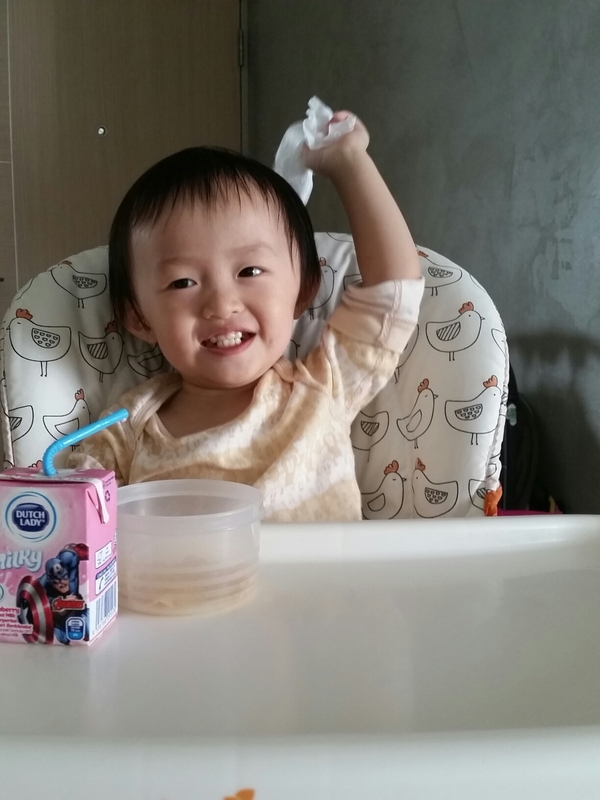 Glad you had a good day today my Little Foot… may we have more such happy days ahead! On such days, everything feels right. It’s really a nice kind of feeling!